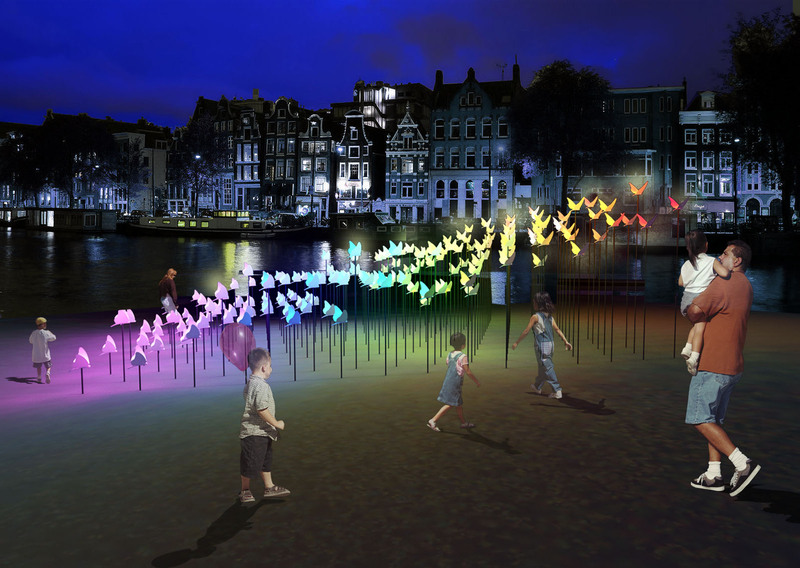 We are delighted that Aether & Hemera's new work ' On the wings of freedom' has been selected for Amsterdam Light Festival 2014-2015 among more than 200 submission. The members of the judging panel were Jennifer Keesmaat | Chief Planner of the City of Toronto, Marloes Krijnen | Director of Foam, the photo museum in Amsterdam, Cyril Zammit | Director of Design Days Dubai, Sarah Douglas | Creative Director of Wallpaper Magazine and Rogier van der Heide | Artistic Director of the Amsterdam Light Festival. The third edition of the festival will take place from 27 November 2014 to 18 January 2015. The boat route, Water Colors, will take place from 27 November 2014 to 18 January 2015, and the walking route, Illuminade, from 11 December 2014 to 4 January 2015 and a programme can be downloaded from here.